Home MIDDLE EAST What strategic damage has the Islamic State inflicted on regional powers? The recent ground offensive against the IS in Iraq is broadly believed to be the beginning of the end for the self-proclaimed caliphate. Provided that the Islamic State has managed, since its inception, to captivate, shock and surprise, the matter is evidently not that simple and for someone whose been following the IS, I don’t believe they would be overcome anytime soon. Unlike regular armies in the Arab world, the IS plays by no one’s rules and reports to no one but itself and as such predicting their END is a big gamble. 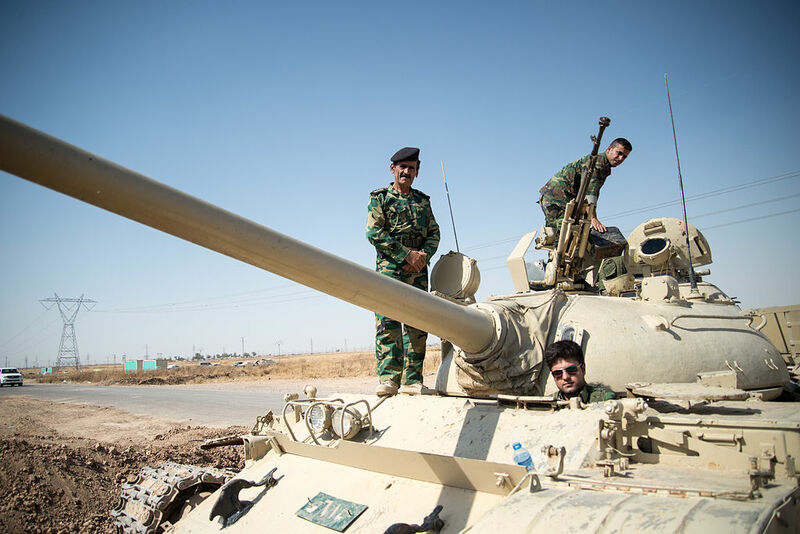 Even if the Islamic State is eventually contained, it has already done some serious damage to almost all regional powers in that it has forced some to adjust strategies and has forced others like Iran to illustrate its unknown face. Here I would only discuss what damage the IS has done to Saudi Arabia and Iran but by no means that suggests its impact is only on the two nations for the “group” has changed the whole world. 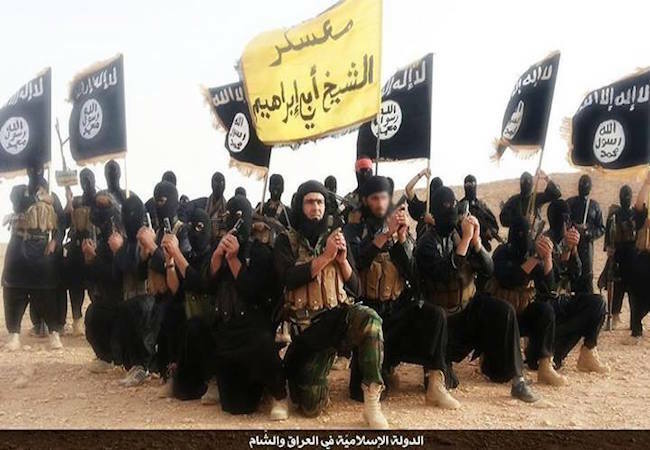 Provided that the majority of IS soldiers and (almost certainly) funders are Saudis, it is very logical that the Islamic State has thousands of sympathizers and supporters within Saudi Arabia itself. For Saudis wishing to be fighting on the side of IS, getting into Syria and Iraq to join the group is a huge logistical challenge given that the Saudi government and neighboring countries are on high alert. This means only one thing and that is that IS has thousands of potential soldiers within the Kingdom. How does the Saudi government deals with that situation? Security measures can’t be taken because the last thing the Saudi royals may want to do is to aggravate the situation farther. Just yesterday, in Tunisia, we witnessed what happens when a government attempts to use the stick against “Islamists”; It simply (to use IS phrase) ignites “flames of war”. So what to do?? The Saudi government was of late being hailed for its reforms as it relates to “human rights” especially as it relates to women. But given the circumstances and not wanting to aggravate the Sharia proponents and would be joiners of the IS, the Saudi government is forced to take steps to display its support for Sharia. Islamic Sharia and the rights of women Western-style do not match. Just this week, the Saudi government lashed at Sweden for suggesting that the Kingdom’s women are not being afforded appropriate treatment. The strong reaction was less meant for Sweden and more for supporters of Sharia, especially IS sympathizers. At these sensitive times, what the Saudi government wishes to demonstrate to “Islamists” is that it is more respectful to Sharia than to Western demands. Other actions to be expected as a direct result of the rise of the IS are harder and solid steps against Israel. Because of the IS and other Islamists groups activities which are often due to Israel’s actions against Palestinians, Israel is becoming more of a thorn than a nuisance. Whilst the majority of Muslims are repulsed by acts of brutality committed by IS soldiers, they do find those acts relatively easy to excuse, thanks to Israel’s decades-long massacres and thanks to the American wars against Muslim nations that have left behind millions of orphans, widows and dead Muslims. As such Saudi Arabia needs now more than ever to be seen to stand by Muslims and eager to protect them. On the other hand, the Saudi government will likely be more upfront and confrontational towards Iran in order to demonstrate that it is the protector of the Sunnis as Iran is seen to be responsible for the deaths of thousands of Sunnis in Iraq, Syria and Yemen. Effectively, though the “hardliners” are fewer in overall numbers, their impact and potential lash out pressures the Saudi and other regional governments to start showing that they are not against Sharia Islam. In effect they now have to start stepping towards it as opposed to their decade’s long tendencies to stride away from it in the name of human rights and other factors. Muslim governments who are pro secularism can no longer afford to ignore Sharia Islam and their own survival depends on moving towards true Islamic rule. In order to be inclusive of the pro-Sharia section of their populations and in order to regain credit and viability, they must accept and implement a somewhat stricter version of Islam. Inclusion is the only way out as displayed by the backlash of four year old Sisi’s attempt to crash Sharia-Islam; the same has futilely been attempted by his predecessors. As it relates to Iran, the IS and other Islamists groups, have managed to expose or reshape Iran in the minds of non-Shia Muslims. Iran was not so long ago viewed as the main backer of the main Muslim world’s resistance movements against Israel’s expansionary and murderous activities. Iran is not only fast losing that image but has managed to even spoil the image of its ally, Hezbollah. Its unwavering support for a brutal Syrian regime has not done much to improve its image either. Iran’s aggressive moves to advance and strengthen Sheeism throughout the Arab and the Sunni world, namely in Bahrain, Yemen, Iraq and Syria, among other places, has only helped it to increase enemies. Iran’s hero image was won by its staunch opposition to Israel but as of late thanks to the murders and tortures of Sunnis carried out by militias it supports; it has become crystal clear that Iran is not only anti Israel but anti other Muslim sects as well. I have personally supported Iran in the past but it is hard not to notice that Iran’s hands are responsible for a lot of fellow Muslims’ deaths and torture through its staunch support for Shia militias. In fact Iran’s soldiers are fighting in Syria and Iraq and the suspicion is that they do also commit atrocities against non-Shia Muslims. Iran’s insistence on interfering in internal affairs of the likes of Yemen, Bahrain, Syria and Iraq has never been more openly displayed. By behaving in such a fashion, Iran is not only overstretching and running itself thin but placing itself in a showdown with a Sunni world which is far more populous and far richer. The IS has managed to force Iran to step away from the image of protector of Muslims into an a Shia nation that would support Sheeism at any cost. The Americans are benefitting too as they stand aside to give Shia militia more time and opportunity to demonstrate and solidify Iran’s newly gained image. That of course is a big plus for Israel and for nuclear talks. supplying weapons to Hezbollah or Hamas is totally different matter than supplying Bashar al-Assad and the Hoothis in Yemen. One is meant to fight an enemy but the other is seen to be killing Muslims; Sunni Muslims. Iran, it would appear, is fast losing her reputation as a non-aggressive nation; the only thing it’s gaining is the fact that it is displaying its sectarianism nature and in that sense its increasingly becoming like its staunch enemy Israel. 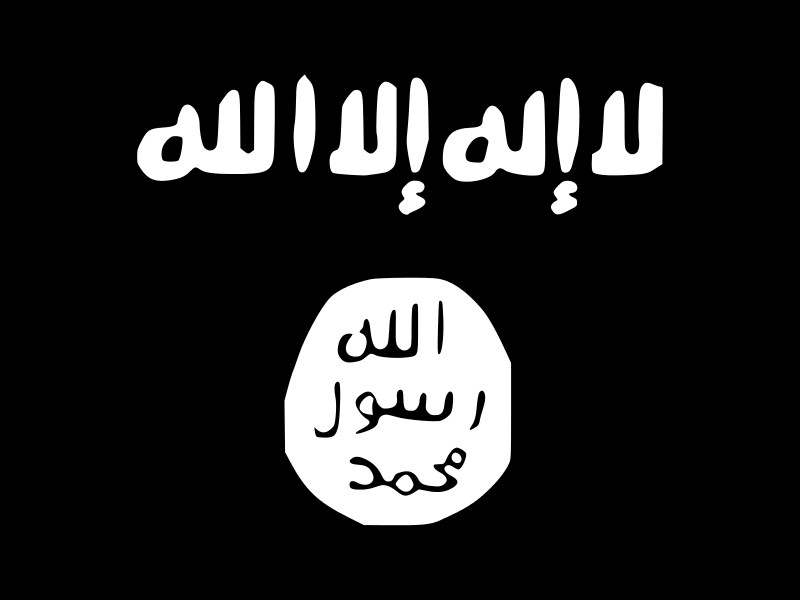 The IS, no doubt, commits acts of unimaginable brutality and its upfront about it. In doing so, it has managed to make Iran, a nation and a signatory to human rights conventions, unleash brutality of its own that amounts to war crimes and has managed to render Saudi Arabia seem unable or unwilling to protect Sunni Muslims. For brutality is brutality, be it made in Iran or carried out by the Islamic State. The elections that have been won by Sharia-driven movements speak volumes about the Arab public’s interest in the return of Sharia. From Algeria, to Palestine to Egypt, the voice has been clear. That every time Islamists seriously stood for elections, they won. As long as the Muslim World grows poorer, more anarchical and more immoral, you can be sure that Muslims will increasingly be more inclined to support the return of Sharia. IS-like inclinations are the main gainer of such developments. That is why strategies of countries like Saudi Arabia are bound to shift markedly.